The SGV is a region of America where a lot of Chinese and Mexicans have learned to live together, most of the time in harmony. El Monte and South El Monte make up two of the 31 incorporated cities and numerous unincorporated communities encompassed by the San Gabriel Valley (SGV). As a whole, the SGV is a vast area stretching from east of East L.A. all the way to the Inland Empire. The SGV’s nearly 400 square miles (within which El Monte and South El Monte sit squarely in the southern center) span from the edges of the city of Los Angeles on the west, to Pomona in the east, the towering San Gabriel Mountains in the north, and northeastern Orange County to the south. It is home to around 2 million residents – approximately one-fifth of L.A. County’s total population. While less well-known than L.A.’s San Fernando Valley and often ignored or overlooked in popular media, the SGV is tremendously important to Los Angeles history as well as a historically and culturally significant area in its own right. The SGV is not only east of East L.A. – and a notable site of working and middle-class Chicana/o history – but also east of Little Tokyo, east of Chinatown, and an ancestral home of the indigenous Gabrielino/Tongva people. Today it is the largest majority Latina/o and Asian American region in the U.S. (approximately 45% Latina/o, and 28% Asian, as of 2010). Its contemporary reality has been shaped by layered histories of indigenous settlement; conquest and colonization; exploitation of land, labor, and resources through large landholding regimes; regional economies; suburbanization; and transpacific circuits of immigration and capital. As SGV scholar Gilda Ochoa has pointed out, the history of the area, as throughout the Southwestern U.S., is “one of conquest, labor, exploitation, racism, and discrimination.” Prior to the arrival of the Spanish, like most of what would become the greater L.A. area, the SGV was home to the Tongva (later Gabrielino), who lived in villages along the Rio Hondo and in canyons along the Arroyo Seco. Spanish colonization devastated the indigenous population, particularly through disease, but also through forced relocation, especially to the San Gabriel Mission, which was established in 1771. As in the California mission system as a whole, thousands of indigenous people labored in the San Gabriel Mission and suffered poor conditions and often brutal treatment. An estimated six thousand indigenous people died there. The San Gabriel Mission was also the site of a failed Gabrielino revolt. By the time white American settlers arrived in the mid nineteenth century, the small surviving population of Tongva were scattered throughout the region, largely working for subsistence on Mexican land grants. In spite of this traumatic history, Gabrielino/Tongva still live in the SGV today, and some have come to regard the San Gabriel Mission as an important symbol of their history and presence in the region. During the period of Mexican rule (1821-1848), mission lands were secularized and divided, and the Mexican government granted large tracts of land to individuals to encourage settlement in Alta California. Many of these passed into the hands of Anglo American settlers, some of whom married into elite Californio families, such as John Rowland and William Workman, whose names are still part of the SGV landscape today (e.g., Rowland Heights, Workman Avenue in Temple City). During the Mexican American War, the SGV was the site of the decisive battle that resulted in the cession of Alta California to the U.S., the Battle of Rio San Gabriel (1847). In the early decades of American rule that followed, the SGV was characterized by massive landholdings, an agricultural economy, and development of large-scale infrastructure such as railroads. Agriculture became the economic base for the region, especially citrus and walnuts, as refrigerated railcars made possible the shipment of perishable goods to the rest of the country. The SGV from Pasadena to Pomona became part of the Citrus Belt, sending oranges to points east with packing labels featuring bucolic names and scenes from the SGV. A racialized land and labor hierarchy developed alongside the citrus economy, with land and profits concentrated in the hands of Anglo Americans, and Mexican Americans and Asian Americans (Chinese, Japanese, Filipino, South Asian) constituting the labor force. Mexican and Mexican American laborers lived in colonias, also called barrios, throughout the SGV but especially in the El Monte area. One of these colonias, Hicks Camp, was the site of an important, multiracial, agricultural worker strike in 1933 – at that point the largest agricultural strike in California history. During the early to mid-twentieth century, the SGV served as an important node in working-class Mexican political circuits in other ways as well: anarchist Ricardo Flores Magón gave a memorable speech in El Monte in 1917 and Ignacio López published the Spanish-language newspaper, El Espéctador, from his home in Pomona for nearly three decades (1933-1961). El Espéctador focused on issues local to the eastern SGV and openly advocated for racial and social justice. Spatially, the SGV has historically been divided by race and class from north to south (though with exceptions such as long established African American communities in East Pasadena, Altadena, and Monrovia). Wealthy, racially exclusive areas like San Marino – the site of railroad scion Henry Huntington’s lush estate – and leisure towns like Pasadena shaped the north, while poorer, browner communities, like El Monte and South El Monte, developed in the south. In the nineteenth century, Huntington Drive constituted the dividing line in the western SGV, north of which people of color could not live, except as servants. In many parts of the SGV, this racialized class divide is still salient into the twenty-first century: for example, in 2010, within the city of San Gabriel, a resident of the northern zipcode was nearly four times more likely to be white, and earned a per capita income nearly two-and-a-half times higher than her southern zipcode counterpart. Today, residents of San Marino, which is the wealthiest city in the SGV, enjoy a median household income more than three times as much as residents of El Monte, the poorest city; and a per capita income more than five times as much. After World War II, there was a shift from agriculture to manufacturing and technology as the region began to be built out by suburbanization and responded to Cold War industry demands. Although Mexican Americans and to some degree Asian Americans had lived in the area in earlier periods, this time period brought the beginning of large-scale Asian American and Mexican American suburbanization. Chinese and Mexican Americans moved out from central area ethnic enclaves such as East LA and Chinatown, and Japanese Americans returned from internment camps to pursue homeownership opportunities in relatively less racially exclusive suburban developments in the Western SGV cities of Monterey Park and Montebello as well as unincorporated areas such as South San Gabriel. At one point, Monterey Park was known among Mexican Americans – somewhat tongue-in-cheek – as the Mexican Beverly Hills. This early wave of Asian American and Mexican American settlement laid the groundwork for the large influx of Asian immigrants to the region beginning in the 1970s and 1980s, as ethnic Chinese from Taiwan and Hong Kong took advantage of new provisions of the 1965 Immigration Act to flee political and economic uncertainty in pursuit of economic, educational, and professional opportunities. Refugees from wars in Southeast Asia, especially ethnic Chinese from Vietnam, also settled in the SGV during this time period. 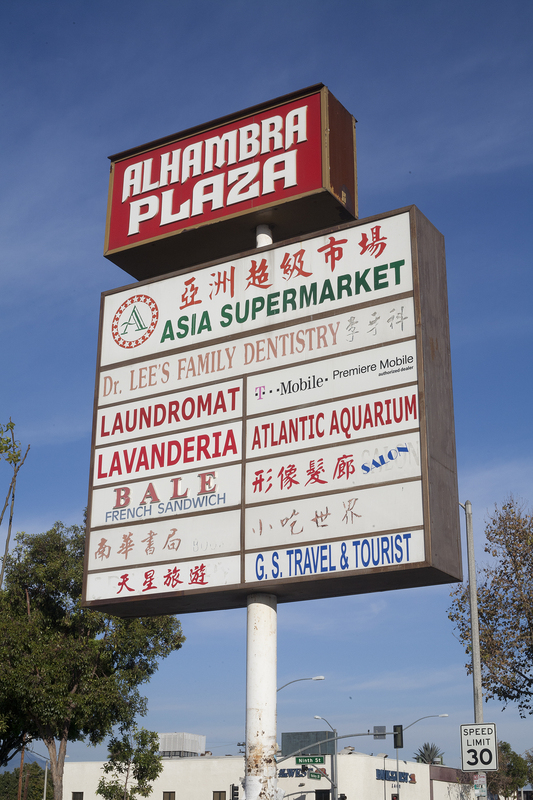 In addition to more racially welcoming housing opportunities, the SGV offered proximity to Chinatown, relatively cheap land, and a well-developed transportation infrastructure to ethnic Chinese immigrants looking for business opportunities. The SGV soon became a top entry point for ethnic Chinese immigrants, and a globally significant node in growing ethnic Chinese business networks. In particular, the growth of Chinese American banking institutions, many of which would be headquartered in the SGV (e.g., Cathay Bank and East West Bank), played an important role in facilitating ethnic Chinese business growth and home ownership. By the 1980s, Monterey Park was known among ethnic Chinese as Little Taipei, and to the broader world as the first “suburban Chinatown.” In 1990 it had become the first majority-Asian American city in the mainland U.S. During the same decades, the white population of the Western SGV dropped precipitously, from a clear majority to a small minority. Some residents declared blatantly nativist sentiments on their way out, such as a sign posted at a gas station which asked pointedly, “Will the Last American to leave Monterey Park please bring the flag?” Remaining residents – mostly white but including some established Mexican Americans and Asian American residents as well – engaged in high profile, racially charged, “slow growth” and English-only local political battles. During the same time period, however, the predominantly Mexican American, Latina/o population stayed roughly the same in the Western SGV and increased in the Eastern SGV. Partially as a result of these demographic shifts, the SGV has become an important region for Asian American and Latina/o political gains, electing notable politicians including Judy Chu, Mike Eng, Hilda Solis, and Gloria Molina. Other notable cultural producers born, raised in, or producing work about the SGV include sibling comedy and rap duo the Fung Brothers; writers Michael Jaime-Becerra, Alex Espinoza, and Salvador Plascencia; photographer Laura Aguilar; writer, poet, and Chicana feminist Cherríe Moraga; and the late, great, science fiction writer Octavia Butler. As the rest of the United States follows California’s lead in tilting toward a nonwhite majority in the decades to come, the SGV stands as a significant site in multiracial, metropolitan history and placemaking. The extent of its cultural and historical richness is yet to be fully realized. Wendy Cheng is a writer, photographer, and assistant professor of Asian Pacific American Studies and Justice & Social Inquiry in the School of Social Transformation at Arizona State University. She is the author of The Changs Next Door to the Díazes: Remapping Race in Suburban California (University of Minnesota Press, 2013) and coauthor and photographer of A People’s Guide to Los Angeles (University of California Press, 2012). Her essays and articles have appeared in publications including American Quarterly, Journal of Urban History, and the Los Angeles Review of Books. Cheng is a past recipient of the Dorothea Lange Fellowship for documentary photography and the George Peabody Gardner Traveling Fellowship. Cheng, Wendy. 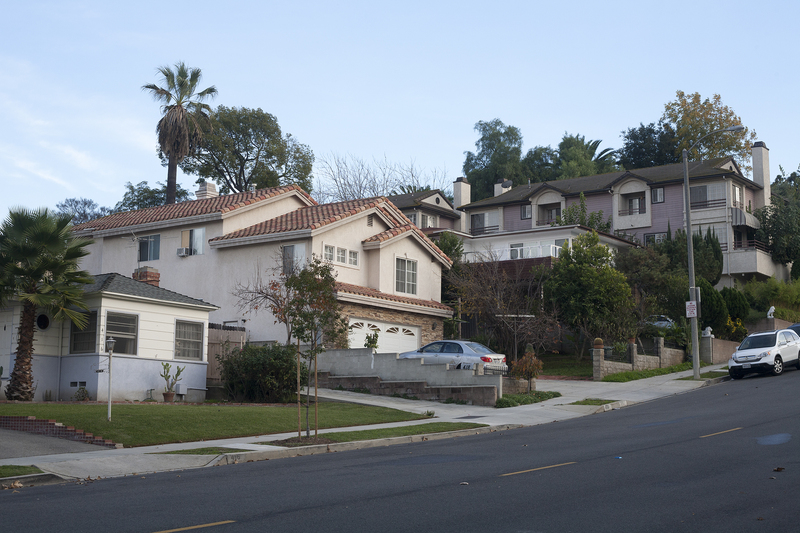 The Changs Next Door to the Díazes: Remapping Race in Suburban California. Minneapolis, MN: University of Minnesota Press, 2013. Fong, Timothy. The First Suburban Chinatown: The Remaking of Monterey Park, California. Philadelphia: Temple University Press, 1994. Garcia, Matt. 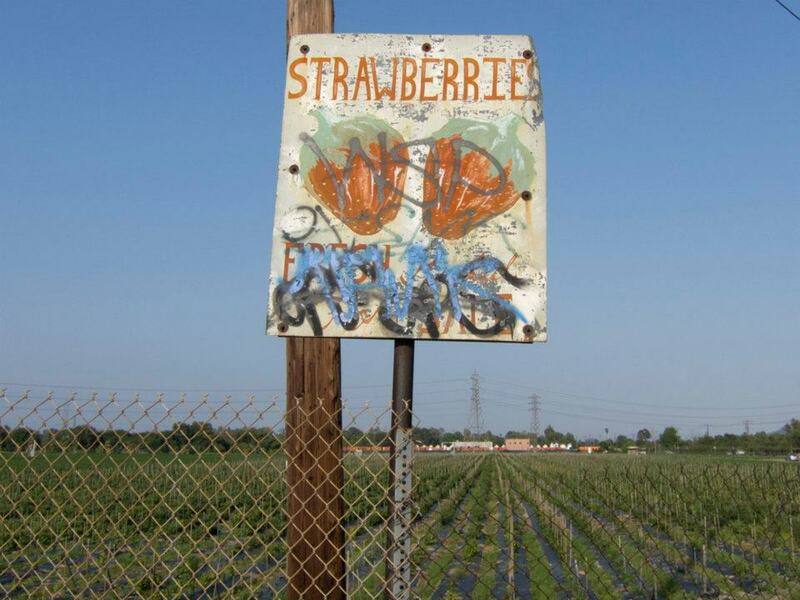 A World of Its Own: Race, Labor, and Citrus in the Making of Greater Los Angeles, 1900-1970. Chapel Hill, NC: University of North Carolina Press, 2001. Li, Wei. “Building Ethnoburbia: The Emergence and Manifestation of the Chinese Ethnoburb in Los Angeles’ San Gabriel Valley.” Journal of Asian American Studies 2, no. 1 (1999): 1-28. Ochoa, Gilda. Becoming Neighbors in a Mexican American Community: Power, Conflict, and Solidarity. Austin: University of Texas Press, 2004. SGV brand website, http://www.sgvforlife.bigcartel.com, accessed October 3, 2012. San Gabriel Valley Council of Governments website, http://sgvcog.org. Kevin Smith, “Economic snapshot: San Gabriel Valley working to regain jobs,” San Gabriel Valley Tribune, April 24, 2012. Gilda Ochoa, Becoming Neighbors in a Mexican American Community: Power, Conflict, and Solidarity (Austin: University of Texas Press, 2004), 47. Steve W. Hackel, “Indian Testimony and the Mission San Gabriel Uprising of 1785,” Ethnohistory 50, no. 4 (2003): 643–669; Laura Pulido, Laura Barraclough, and Wendy Cheng, A People’s Guide to Los Angeles (University of California Press, 2012). Adolfo Flores, “Gabrielinos Balk at San Gabriel’s Plan to Change City’s Motto,” Pasadena Star-News, September 8, 2010. For more on the Citrus Belt and its labor relations and racial hierarchies, see Matt Garcia, A World of Its Own: Race, Labor, and Citrus in the Making of Greater Los Angeles, 1900-1970 (Chapel Hill, NC: University of North Carolina Press, 2001). Pulido et al., A People’s Guide to Los Angeles, 86-88. 25.7% of northern zipcode residents were non-Hispanic whites, compared with only 6.6% of southern zipcode residents, and per capita income for the northern zipcode was $34,836 compared to $14,229 in the south. 2010 US Census, Community Facts for San Gabriel zipcodes 91775 and 91776 (http://factfinder2.census.gov/faces/nav/jsf/pages/community_facts.xhtml). Accessed January 28, 2014. US Census Bureau. From 2008-2012, San Marino median household income averaged $139,122 compared to $41,861 in El Monte; San Marino per capita income during the same time period was $76,984, compared to $14,764 in El Monte. San Marino (city), California Quick Facts: http://quickfacts.census.gov/qfd/states/06/0668224.html; El Monte (city), California Quick Facts: http://quickfacts.census.gov/qfd/states/06/0622230.html. Accessed January 28, 2014. Wei Li, Gary Dymski, Yu Zhou, Maria Chee, and Carolyn Aldana, “Chinese-American Banking and Community Development in Los Angeles,” Annals of the Association of American Geographers 92, no. 4 (2002): 777-796. Timothy Fong, The First Suburban Chinatown: The Remaking of Monterey Park, California (Philadelphia: Temple University Press, 1994), 4. Kevin Smith, “Agriculture gives way to manufacturing,” San Gabriel Valley Tribune, March 31, 2006. SGV brand website, http://www.sgvforlife.com (no longer current), accessed September 20, 2007. Pingback: Recommended reading | I like the internet. Pingback: Reading is important | I like the internet.